I’m a man and I love knitting. There, I feel better for unburdening myself already. Craftwork. Fine and designer knitting. Italian yarns. Mohair. Natural dyes. Sheep’s wool and spinning. Design and colour. I love it all. 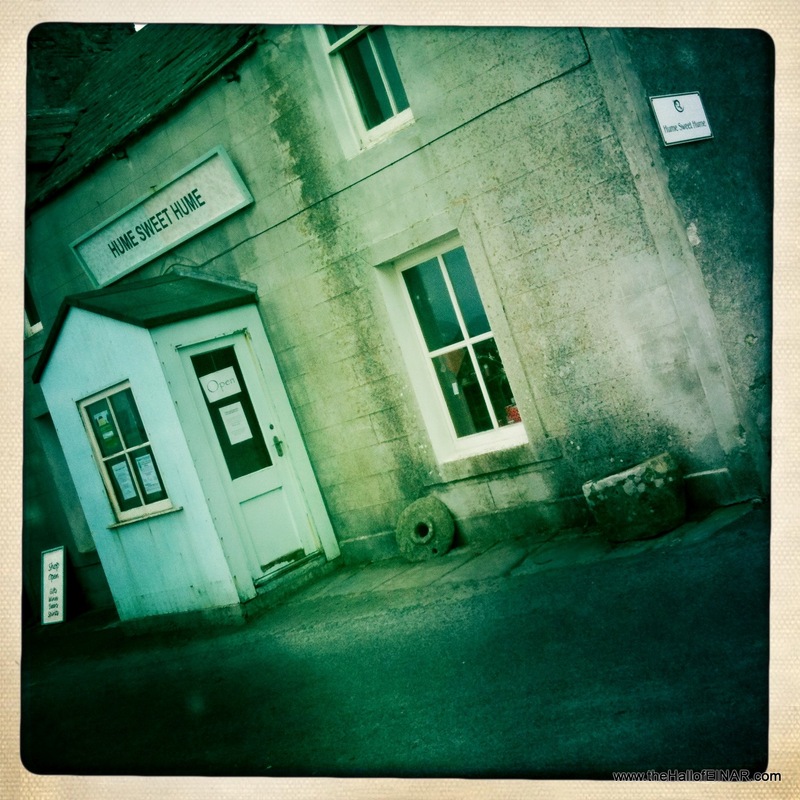 The fact that somewhere as remote as Westray has an internationally recognised partnership of two sisters who produce some of the finest knitted garments and accessories you could ever wish for is a constant marvel to me. Hume Sweet Hume is the name of the unprepossessing shop on the front of the bay in Pierowall harbour. There’s a small duck-egg blue porch with a typical island tradition; two entrance doors on opposite sides so that no matter which way the wind blows you can still get in. Inside is a stunningly designed small shop, with the most exquisite knitted design – to international standards. The company creates an exclusive range of interior and fashion accessories using a combination of textile techniques including textured knitting, weaving embroidery, layering and felting. Jenna and Lizza Hume are an inspiration – please read their About Us page to get a feel for what making your living doing something you love in your own home in a remote place means. As I marvel at the fineness of the craftwork I’m also grateful that this is the Island’s off-licence. I can’t decide what will go best with slow cooked pork and olives. Should I buy the wine or should I get the beer. I finally decide. That’ll be a bottle of Chilean Merlot and two bottles of Dark Island please.